At the feet of Socrates! Know thyself! Nothing in excess! Man is the measure of things! These are the lessons the momentous, historic visit once again brought home to us. A lesson I sought to learn more than half a century and yet only what I missed by chance so many years ago, in 1959-61 when I was at Oxford, I was able to fulfill only now! Thanks to many favorable circumstances this visit, this July, was fulfilled only this time! What once I thought, it was possible for some few pounds; say ten or fifteen bucks, as they say; now it cost a fortune! But what a historic perspective in which this opportunity came about! So, the readers have to bear with some, preliminary reflections on what is raging inside my mind and intellect to get some momentum to come to the actual first-hand experience of our Greek encounter! It is no exaggeration to say this. We, Indians are not known for our historic sense at all. We have not had any such great history. All we have a certain type of Orientalist fantasies only. Even the British colonisation played role to dim our historic views. The learned classes in India believed the colonizers’ perspectives only. But the British ruling class, from the 17th century onwards, more so in the 18th and 19th centuries sought to appropriate the legacies of Greek and Roman civilizations and it is long history of learning and loot. The much sought after treasures, the incomparable sculptures, the priceless marbles, like the Elgin marbles and other such treasures had been stolen blatantly and the European museums and art galleries are full of the looted antiquities. Along with the loot came the much sought after Grand Tours, the British ruling class appropriated for themselves in terms of education, culture and exposure to the world of high culture and the art of ruling. So, our visit from India, to classical Greece and Rome can be seen and I like to see as a historic turn to a hopefully new awakening of sorts. I invite readers to see our experience and arguments in this wider perspective. Yes, it was a dream of more than a half century! The dream of visiting Greece and seeing the historic sites, the soil on which Socrates (469-399 BC), the first great thinker of the classical world walked! Yes, we did tread on his divine feet! The ancient Agora, the original 2,500 era market and public place where the ancient Athenians used to congragate, for both day-to-day affairs and also as a government to sit in this house. That structure had gone.”Where is the prison?”When I asked this question I noticed headquarters! The very soil is intact even now! Just the other side lies the Roman Agora, which the Romans occupied Greece and ruled as one of Roman provinces. The old Agora was the place where the first flowering of the idea of democracy originated. The very structure, a raised round platform still stands where the council of thirty, the cabinet met and deliberated. Many of the surviving structures are, we are told, functioned as governing offices, judiciary, treasure and even prison, also the portion where Socrates drank the poison and willingly died. Why did he die? Where is the very spot? We asked the woman guide?”Yes, sir, it is here!”She replied matter of factly. She also showed a name board:”Simon’s House. Simon was Socrates’ close friend. Socrates used another person and young lady of course well-educated suiting not far from the place. I beckoned her. She came forward and told us that she is a staff of the American School of Classical Studies, funded by the Rockefeller Foundation that is carrying out the archeological investigations. There were the clay cups that were lying in the spot where other prisoners too might have been killed by serving poison in similar cups. So, the learned archeologist explained to us how the science of archeology reaches conclusions by such reasoning. Athens has had a very long history. It faced many invasions from the Persians. Modern Greece too faced many occupasions. The last was Ottoman occupation. Only in the 19th century Greece became independent. Modern Greece is a poor copy of the classical Greece, of course! We visited Greece for a family holdiay, five members and for ten days! So we now know each nook and corner of the Athens city! I consider our visit historic! For some very historic reasons. I have to put the question in some broad and long historic context. Also when I look at the timing of the happening, from what I see from the future evolution of the India we are going to create as a great democracy and a great nation. Let us look back and also at the vision for India. By way of values of governance, institutions the values of a mass democracy, various freedoms of the citizens, the direct democracy practiced by the ancient Athenians! The great general and statesman, Pericles (495-429 BC) said at the funeral speech at the end of the Peloponnesian War (431-404 BC) education for the world. Our government is not of the few but of the many. That speech must be taught in all our schools. Let us connect with the march of civilization. My mind wandered, far and wide as I lost in my reflections. Why? Modern India, the first seventy years of India’s freedom, brought Indians many freedoms. But in my opinion the most cherishable freedom of awakening, an awakening of the civilization values, the modern ways of thinking, the many strands of new knowledge, philosophy, science and much of the other sources of knowledge, months, astronomy and medicine, to mention just a few sources, were all the contributions of Greece, right? But then this awakening couldn’t come to India owing to, again in my opinion, to the sort of education that came to India much later to the British education, the contribution of Macaulay who decreed that Indians are good only for a clerical education. So, the original contributions of Greece and Rome remained confined only to the British youngsters. The cream of the ICS fraternity remained only with the British cadre. The so-called Bengal Renaissance with all its brilliance also remained in my view only confined to the British contributions. What we lost I like to get connected with the great civilization links. Our education must incorporate the best of the Greek and the Roman contributions to mankind. Teach courage, moral strength and politics that are truly democratic and teach citizens all the practicalities of the Greek citizenship ideals. How the Greeks had that strength to raise the Parthenon (447BC) the acropolis, the giant pure white marbles? It is so staggering and so majestic. It rises on the acropolis hill and shines in such lighting overlooking the city of Athens down below! Words fail to recreate the emotional outburst first-timers have to climb and struggle to stand up and raise our eyes! To fully describe is impossible. On a vast hill space of two and half hectare spread three temples stand for the past 2,500 years. So, we have to initiate a big vision for India, Indian thought processes. 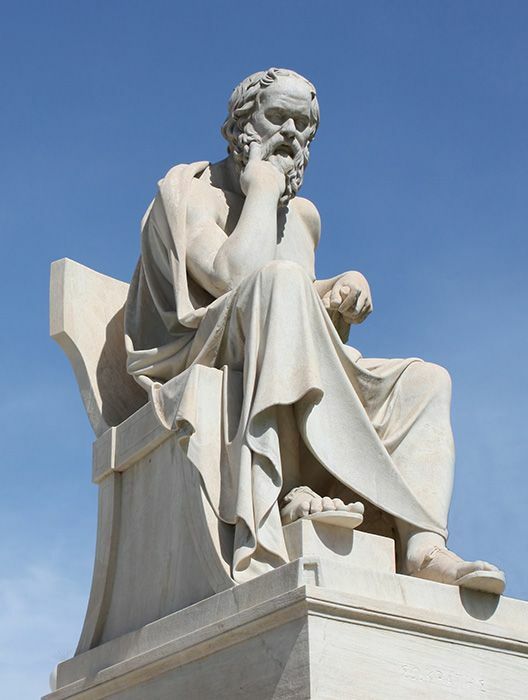 The many names that we would narrate later and they are too many in all branches of knowledge and practical affairs, in Greek ideal, you as an individual are both a thinker and a practical man; Socrates had participated in a war! Classical Greece in all its full bloom arises before us. That is a priceless gift to mankind!